Bathed in sunlight, calmed by the gentle waves of the Aegean Sea —and within easy reach of a spectacular beach— rests the idyllic and stylish Knossos Royal Beach Resort. 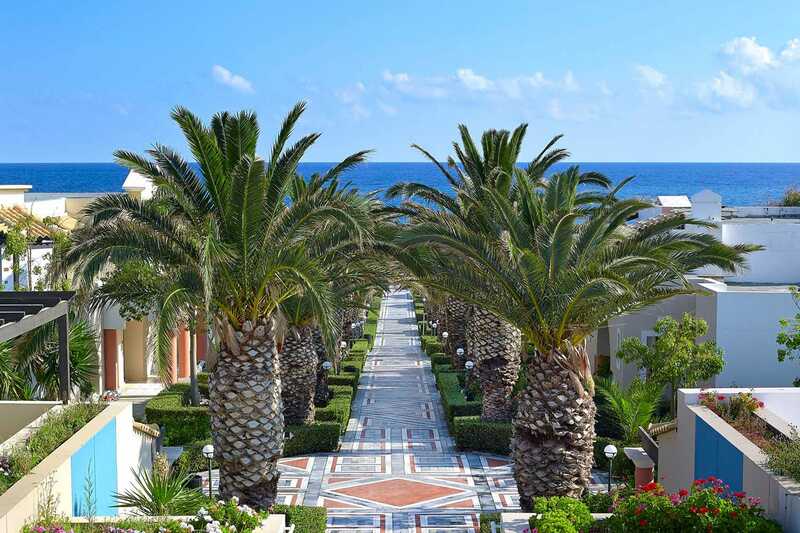 Minoan-style architecture combined with recently refurbished rooms, gleaming swimming pools and lush gardens put you in the perfect vacation mood. Whatever you decide to do; burn some energy in our sporting facilities or simply relax by the pool to catch some sun, rest assured that your young ones are having the time of their lives at the mini club, trying out a wide range of fun-filled activities.